On the first wheelie Wednesday of the term we had an amazing 32 bikes and scooters. A pretty good turnout but as the new Bike It Crew we think we can we could do a lot better and you have the chance of winning a prize!! We are a Platinum Flag Eco School so let’s show everyone how much fun it is and how responsible we are by using sustainable travel. Come on everybody - cycle, scoot or walk to school and not just on Wheelie Wednesday’s but EVERY DAY! You must wear a helmet if you are riding your bike to school! 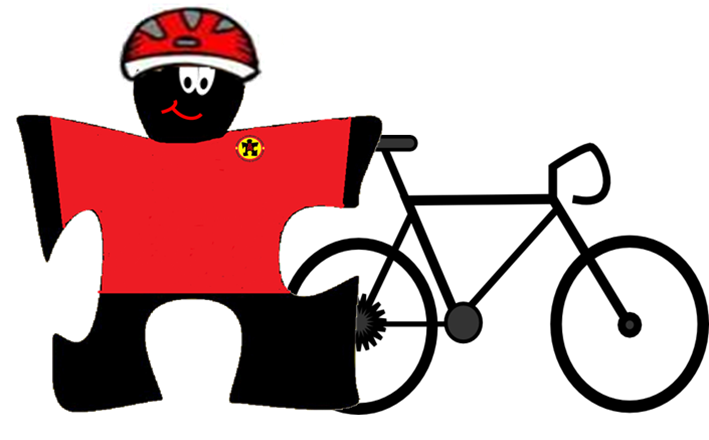 3 years ago, the school became involved with Sustrans Cymru and began the Bike It programme, which is designed to give children the information and skills they need to be able to cycle safely to school on a regular basis. Sustrans is a leading charity encouraging people to choose healthier, cleaner and cheaper journeys. They work with hundreds of schools throughout the UK each year to encourage pupils to be more active, enabling thousands of children to travel actively and safely. We began our journey (by bike of course), in May 2012. Skills Days for years 1 to 6 were followed by a visit from Dr Bike who came along to check bikes, fix faulty brakes, adjust seats and handlbars and to report any outstanding problems. This event was open to everyone and we had many grateful parents who now have roadworthy bikes to ride along with their children. In June we held a magnificent Jubilee Parade as part of our Diamond Jubilee celebrations. During the Autumn Term we continued to encourage our campaign by including scooters (as they appear to be the 'in' mode of transport), and we were lucky enough to be presented with a scooter pod which you will see alongside our bike racks. We had terrific festive fun with 'Bling your Bike' which saw bikes and scooters decorated with all kinds of tinsel, baubles and even fairy lights! Spring Term saw the return of Dr Bike who ensured everyone's bike was ready for The Big Pedal 2013. This began with a fundraising SUPERHERO Day where we raised £108 for Sustrans. Pedal Power Smoothies (made and sold by Year 5) and a Bike Champions Skills Day (to ensure that our Bike Champion - Miss Thomas, is keeping us on the right track!) meant that exactly a year after beginning our campaign to stay out of the car and take a healthier journey to school, we have been awarded with The Bike It Bronze School Mark. This isn't the end though! Our Bike It Crew continue to work hard encouraging everyone to take to their bikes. 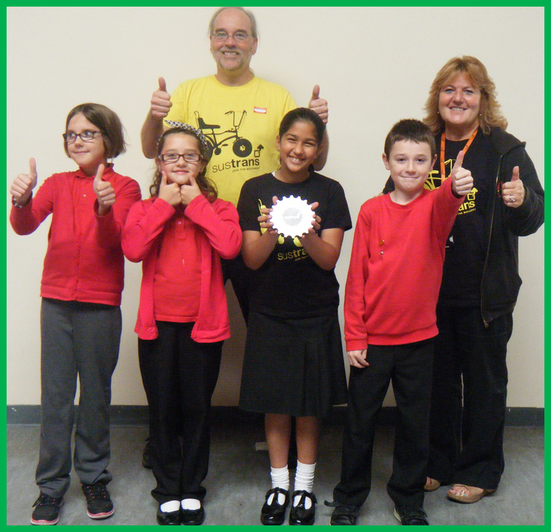 Since receiving the award we have held a Bike to School Week and Puncture Repair sessions for Year 6. Since the beginning of the new school year; September 2014, we have held a number of events and activities which has encouraged our children to continue with our Active Travel to School initiative and we are well on our way to achieving the Silver School Mark. We also have a lot of fitter, healthier children as a result. Now, if only we could get a few more of our staff on board as well! On Thursday 13th October we will be celebrating harvest by supporting The Size of Wales campaign to promote awareness of the devastating effects of deforestation around the world and to raise funds to enable the planting of replacement trees where needed. The Bike Crew, along with the Eco Committee are asking everyone to dress in green,travel sustainably - by walking, cycling or scooting to school and also to decorate your bikes and scooters with a rainforest theme. 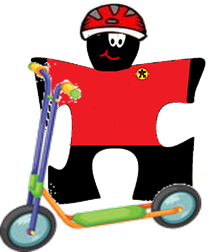 Cycle or Scoot to school every day - let's see if we can win a prize, keep healthy and have fun! Dr Bike - Bike safety check! 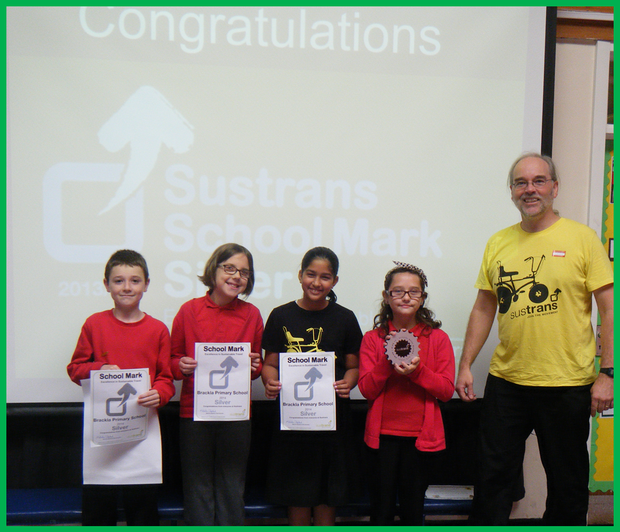 We were the first school in our area to achieve the Sustrans Bronze Bike It Mark and we are well on our way to being the first school in the area to achieve the Silver Bike It Mark. Get out your wheels and Cycle or Scoot to school every day - it's healthier AND more fun! Brackla Primary School has ridden to the top of the league of schools that are promoting active and sustainable travel among pupils. They have become the first primary school in Bridgend County Borough to achieve the Silver Mark Award from Sustrans – the charity that encourages people to take more journeys by walking, cycling, scooting and public transport. Brackla pupils regularly travel to school on two wheels, and enjoy taking part in the weekly ‘Bike It’ club sessions and Wheelie Wednesdays, where anyone who cycles or scoots to school is entered into a raffle to stand a chance of winning a prize. Skills sessions have also been held so that the pupils can pick up riding tips, safety advice and learn about bike and scooter maintenance.